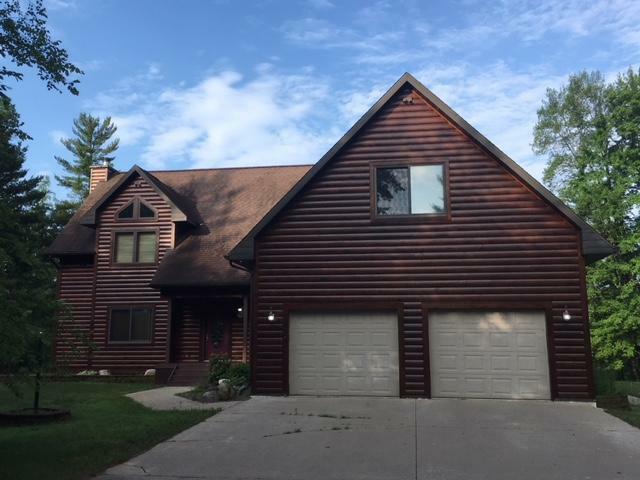 OVER 3 ACRES AND 134 FT OF MENOMINEE RIVER FRONTAGE!! 3 bedroom, 2 1/2 bath home with vaulted ceiling and beautiful fieldstone fireplace in the living room, eat-in kitchen with snack bar & quartz counter tops, separate dining area with french doors leading to the large deck, 28x16 bonus room above the 2 car attached garage which would be perfect for an office or exercise room & a small storage shed. Finished lower level in the full walk-out basement. Exterior was just re-stained and is good for 10 yrs. WHY BUILD WHEN YOU CAN OWN THIS QUALITY BUILT HOME! !